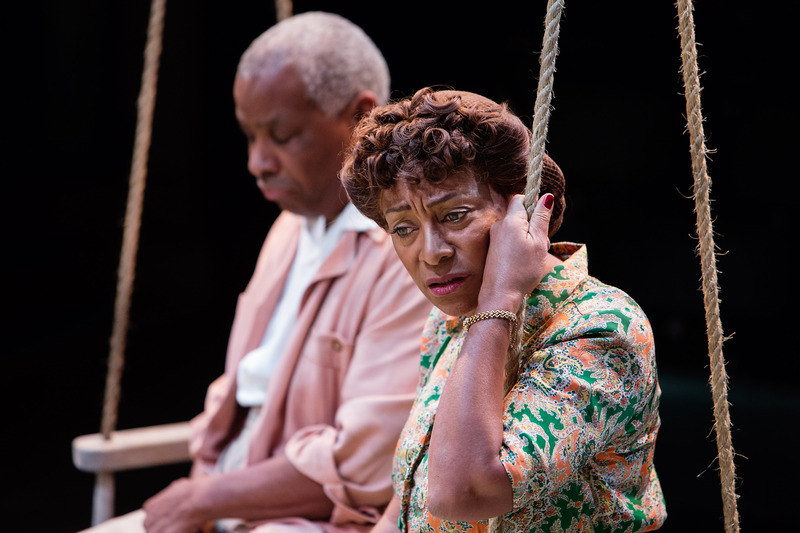 Emotional carnage was adroitly presented to a shocked and thrilled audience on Wednesday night, as Manchester’s Royal Exchange took up the challenge of presenting theatre-goers with a devastating performance of Arthur Miller’s 1947 classic All My Sons. The tale of the fracturing of the Keller family grabbed the audience by the lapels and, like some noir 1940s private eye, repeatedly slapped us across the face in search of answers. But Miller was asking the questions, and his characters were reluctantly providing the answers. The first act was a slow burn, and was meant to be. It was Miller’s stated intent to anchor the audience firmly within the familiar borders of middle class American life. The domesticity, the neighbourliness, the dollars in the bank and Cadillac in the drive; the Kellers are a real live slice of the American dream and, as anyone on their block will tell you, they’re fully at ease with that fact. Yet, this gentle start also serves to establish more than setting, more than character. As Miller himself says, in an extract from Miller: Plays One included in the excellent programme, he wanted the play to “seek cause and effect” on the stage through “hard actions, facts, the geometry of relationships, and to hold back any tendency to express an idea in itself, unless it was literally forced out of a character’s mouth”. But this is the theatre, and this is Miller, so it’s no plot spoiler to say that all is not what it seems in the Keller household and, long before the first act is done the integrity of those on stage has been tested, and the cracks have literally been revealed. Once again the voyeuristic potential of the Exchange’s 360 degree stage was expertly exploited, and under Michael Buffong’s skilful direction the cast have obviously been given the chance to display their acting chops. And believe me, there were more chops on that stage than in a butcher’s front window. For me the highlight of the first half was Chris Keller’s touching confession to his sweetheart, Ann Deever, that since coming home from the war his life has been haunted by the loss of the men he led in combat, and the need to find meaning in their sacrifice by leading a moral life and by being a better man. 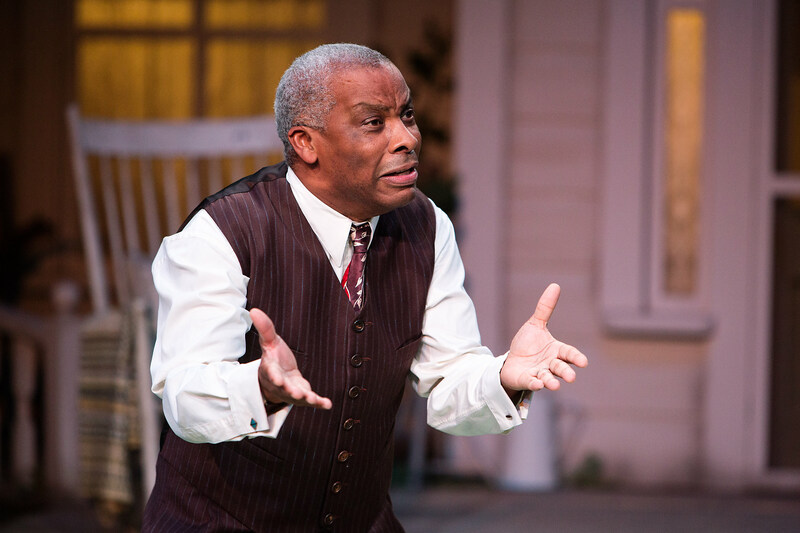 Chiké Okonkwo, who plays Chris, puts in a passionate performance that evokes great sympathy in the audience, and his romantic double act with Ann, played with great poise by Kemi-Bo Jacobs, was a great success, convincing all that there was genuine chemistry between them. The supporting cast is particularly strong in the first half and they go a long way in drawing the audience in – and boy were we drawn in. As the play started I found myself missing the odd word here and there, and I wondered if the conversational cadence was going to be adequate to the task of carrying Miller’s words. But within 15 minutes my ears had attuned; within 30 so had the rest of me and I felt the hairs on the back of my neck rising, along with the tension in the theatre. The second act got into its stride almost immediately with the arrival of George Deever, played by Simon Coombs, with a convincing mixture of war weariness and guilty anger. Pretty soon the psychological conflict escalated beyond all control. Confrontation followed confrontation, as conscience after conscience got flayed alive in front of our horrified eyes. And at the centre of this imploding world were a couple of superb performances from Don Warrington and Doña Croll as Joe and Kate Keller. Joe, the self-made man, the man you go to for a straight answer, the practical ‘what you see is what you get’ kind of guy, comes apart and rebuilds himself so many times on stage that after a while I couldn’t see the stitching anymore. Where does Joe’s self-image end his true self begin? In a bravura performance Warrington sails the good ship Keller right off the edge of a cliff and his exposure of raw emotions left the audience gripping their seats. Meanwhile, Doña Croll had us all gasping in astonishment at the extent to which Kate has fused her guilt with her sense of loss, regardless of the damage it does to her and those around her. By the time the second act was drawing to an end I found myself so intensely involved that I literally wanted to shout out in anger and sympathy. I resisted temptation, but only just. 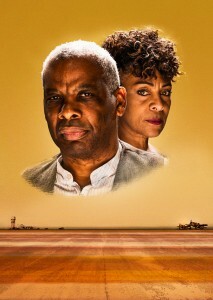 The play has an all black cast drawn from the Talawa Theatre Company but I didn’t see this a case of colour blind casting. While segregation was firmly embedded in the America of the 1940s in a curious way, it only serves to support the credibility of this interpretation. A black middle class did exist in this era, and the vast wartime expansion of industrial output gave entrepreneurs of all kinds the opportunity to become war profiteers. And social segregation meant that black middle class Americans would have lived largely in homogeneous neighbourhoods so, over the course of one day, in one house, why wouldn’t all the faces we see be black? The military pedigree of the Keller sons is also credible. Even though the US military was segregated in the Second World War, with black troops being excluded from the vast majority of combat outfits, there were a small number of units manned by African Americans who were sent oversees to fight. Thus the missing Larry may have served in the 332nd Fighter Group (although admittedly wrong aircraft and wrong theatre of operations) and the returned Chris could have been commissioned into the 92nd Infantry Division. Having seen the play, I’m very grateful that both the director and the Royal Exchange resisted the temptation to change either the time or the place in which it’s set. The US was the only participant who emerged from the war in credit, and the financial profits the conflict brought were shared, albeit unequally, right across American society, from the board room at General Motors right down to Rosie the riveter working double shifts on triple pay. And the country didn’t just emerge economically stronger, it was also deeply proud of its role in what was regarded by almost everyone as a just war. 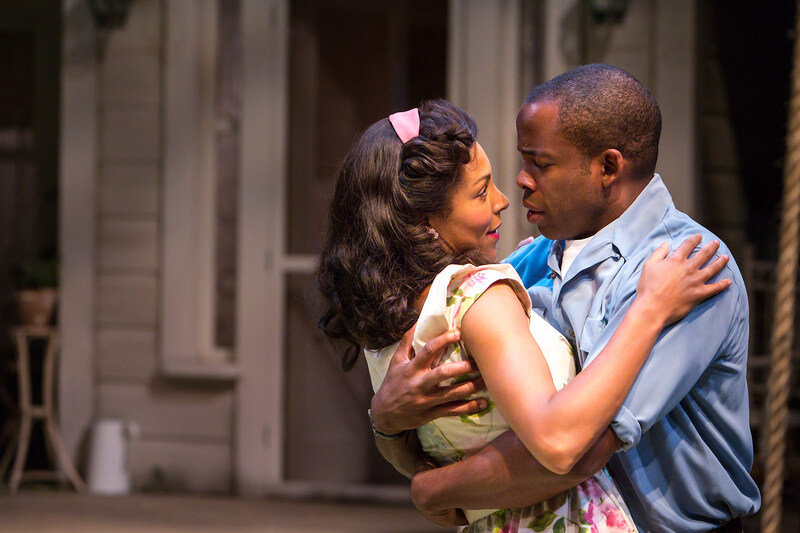 So, in All My Sons Miller didn’t just challenge his audience to examine universal human themes of guilt and the denial of conscience, he challenged them to do it in a time and a place where to do so was almost heretical. By making people face up to the interconnectivity of human actions he threw a spotlight on a part of human experience that people rarely wanted to examine. They still don’t. This is a fine production in all respects and it’s up there, along with Dr Faustus and 1984, as a landmark in the theatre’s recent history. 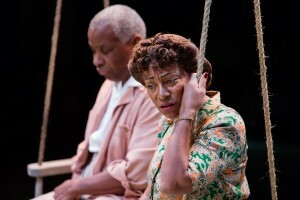 Miller’s work demands the best from those who would dare attempt it, and the cast and crew of All My Sons have delivered. Bravo, bravo indeed.